If you suffer from fear of going to see your dentist, you can take comfort in knowing that you are not alone. In fact, there are many Americans that suffer from the same thing. It’s normal to feel some sort of anxiety going to see a dentist, especially if you have had bad experiences in the past. However, you don’t want to let your fear of the dentist prevent you from getting regular cleanings and checkups for extended period of times. The longer you wait to see a dentist, the more chance you have of suffering from some kind of dental complication. So, what are you supposed to do when you suffer from this dental anxiety? 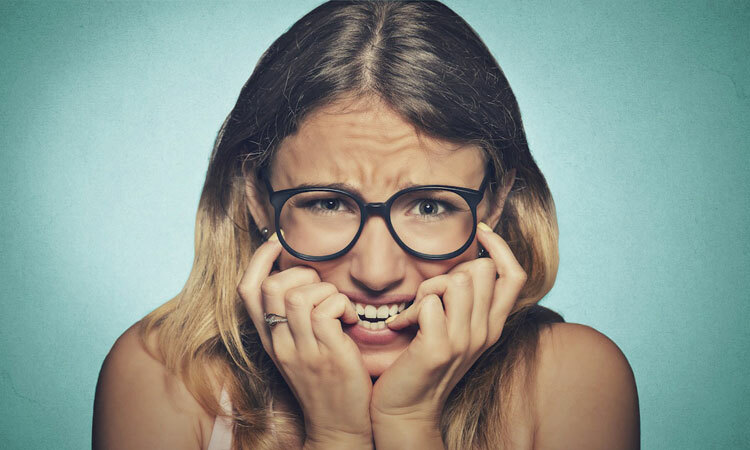 Fortunately, there are several things you can do to learn how to deal with dental anxiety. Take a look at these five ways you can overcome your fear of the dentist. Sedation Dentistry – One of the easiest ways to deal with your dental anxiety is to undergo dental sedation during your visit. If you decide to use dental sedation, your dentist will administer a sedative during your visit to calm you down. This sedative ranges from very mild to very strong, transitioning you to complete unconsciousness. Sedation dentistry is an easy way to deal with anxiety during any appointment and any procedure. Be Open with Your Dentist – Before you start any kind of procedure with your dentist, take some time to open up to your dentist and tell him or her about your fears of being there. As you are open about your fears, your dentist will be able to determine the best course of action to take to address and calm those same fears. This also gives you more control while you sit in the dental chair. Find the Right Dentist – Sometimes, your anxiety comes from not completely trusting in your dentist. If you don’t trust your dentist, the previous step can help you overcome that. Of course, you may want to find a new dentist in whom you can trust. If you decide to go this route, be sure to take your time in researching and finding the right dentist for you. This can go a long way in calming your fears over time. Read about our team here to start the journey towards trusting your dentist. Establish More Control in the Chair – One of the best things you can do on a personal level is establish as much control as possible while you are in the dentist’s chair. Before starting any kind of procedure, create a signal with your dentist that signifies when he or she should stop. You can also learn how to control your breathing to decrease anxiety in the moment. Don’t Stop Going – As you start seeing your dentist on a more regular basis, remember that it’s easy to stop going. However, the more you start going to your dentist, the easier it will become. If it’s hard to think about, remember that by going in regularly, you prevent larger dental complications from happening. These are only five ways that you can overcome your fear of going to the dentist. While some or all of these tips may work for you, remember that you need to find your own way to cope with your dental anxiety. Experiment and find a combination of coping tips that works best for you, and in the end, you will be able to see your dentist without any problems at all.